Les is a lover of words, food and travel. He keeps us all on track in his role of managing editor at delicious. Angela Hartnett and Luke Holder have a restaurant, Hartnett Holder & Co, in the swanky Lime Wood hotel in the New Forest. 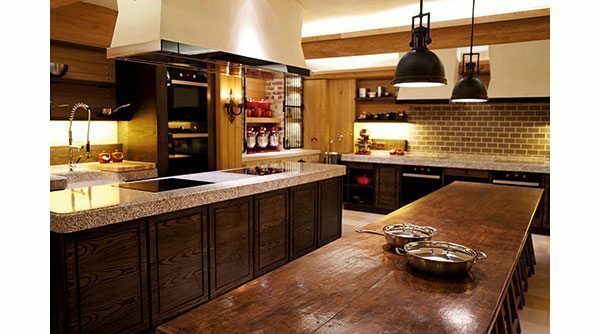 Here, they serve family-style Italian dishes, and in their cookery school, HH & Co Backstage, you get to make the same things you’ll find on the menu. The school is downstairs in a cosy rustic space. A maximum of eight share five sinks, so you may make a friend in your sink partner. Angela herself takes the odd course (unsurprisingly, they sell out fast) but ours was with the day-to-day tutor, the affable, bearded Iain Longhorn. The modus operandi was simple: we’d watch Iain make a dish, then go to our workstations and do it ourselves. Did you know that pannacotta is a rustic Piedmont dish that’s been bastardised over the years and shouldn’t be too sweet? Or that alfonso mangoes were hybridised by a Portuguese guy in India? Neither did I. Iain has the knack of larding you with knowledge as he chats. As he dispatched a lobster, he said something interesting about the relative strengths of crab and lobster claws, which I can’t remember as I was fixated on murdering my crustacean. Lobsters aren’t your everyday food but, as Iain pointed out, “eating one at home is much cheaper than in a restaurant”. The assassination was a doddle (we used the prosaic knife-through-the-head method) and Iain was insistent about freezing the heads for stock in thrifty fashion. 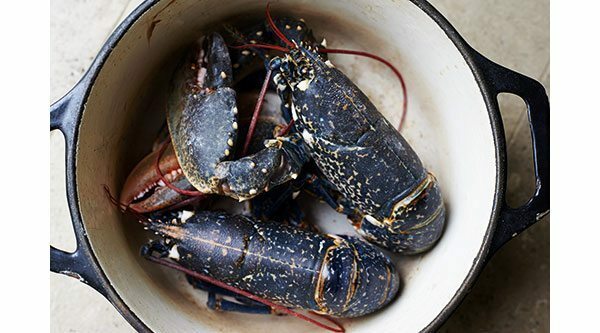 We used the flesh to make Luke Holder’s signature lobster salad, putting our own spin on it. There’s little primping of ingredients, thankfully, because in this kitchen “flavour is everything”. I learned to do things that aren’t as tricksy as they sound, such as baking a bream beneath a bread-crust seal. It gave me confidence to try new things, and the results, enjoyed around the table for lunch, were just as promised: delicious Italian family cooking (the basil granita will stay long in my memory…) After wine at lunch, the afternoon was fittingly soporific. 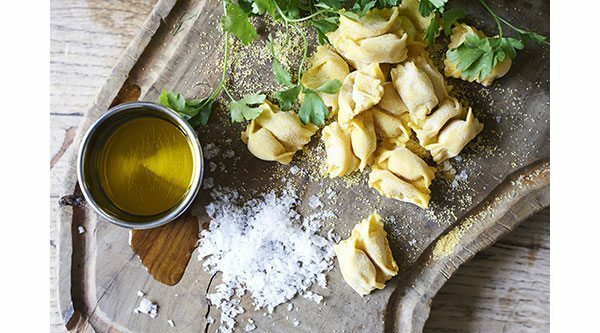 We made take-home pea and ricotta ravioli at a leisurely pace, using egg-heavy “rich man’s pasta dough”. This course manages to be laid-back while sneaking in a lot of skills and knowledge. Thanks to Iain’s fact-sharing enthusiasm, not only do you end up with the dishes for a great dinner party, you’ll have the anecdotes too (as long as your memory is better than mine).